To the person with an anxiety disorder, daily life is a minefield of things that can make you feel worse. The stress of getting through another day of pain without a major mishap makes you a nervous wreck and vulnerable to the worst that anxiety can bring you. One of the most common “remedies” for anxiety is alcohol. While it may seem to help in the short run, alcohol will actually make things worse. As alcohol leaves the body after a night of drinking, you can start to feel shaky and nervous. For some, this translates to a hangover, while others tend to feel a little “off” regardless. When you drink alcohol, your serotonin levels are temporarily raised – the chemicals that make you feel good. After drinking, serotonin levels skyrocket, then drop off, and you begin to feel depressed. Since serotonin is related to perception of pain, hunger and thirst, as well as mood regulation, it can seriously impact thought patterns and behavior – not just during the period of drinking, but long after, as well. As alcohol leaves your system, your blood sugar might lower, leaving you feeling weak and shaky. The body also responds to the alcohol toxins through inflammation, which is the stimulation of proteins that protect cells and other tissues. Inflammation is a way for the body to protect itself, but it’s also a response to stress, bacteria, viruses, or other nerve-wracking situations. Even though you are no longer drunk, your body will act as if it is sick. Even though you are no longer drunk, your body will act as if it is sick. And as blood sugar drops, you might feel lightheaded, nervous and shaky, which can exacerbate anxiety. Since alcohol is packed with sugar, this means that as you pour endless amounts of sugar into your system, when it comes time for your body to release this sugar, you will majorly crash. That being, if you’re already anxious, the come-down from a night of drinking will certainly make you feel much worse. And for those going through intense withdrawal – for heavy drinkers – alcohol abuse treatment is often avoided, simply because the withdrawal symptoms are so dreaded. What’s more: the dehydration that accompanies withdrawal can make you feel even sicker. Overall, the nervous system goes into overdrive to compensate for the sedating effects of alcohol – this equates to sensitivity to light, sleeplessness, and shakiness, all symptoms of anxiety that worsen when alcohol is involved. With anxiety, co-morbidity with other mental illnesses is common. While being hung over can make you feel a little out-of-sorts the next day, if you have been diagnosed with a form of anxiety or panic disorder, you’re liable to feel even worse than the average bear. What’s more – with anxiety, you are more likely to develop an addiction. Less than half of the individuals in the United States diagnosed with anxiety receive treatment for it. This means that it can be assumed that there are large groups of individuals with anxiety who are likely to self-medicate, or utilize illicit substances to ease the discomfort of a mental disorder. You are three times more likely to abuse substances if you have an anxiety disorder. 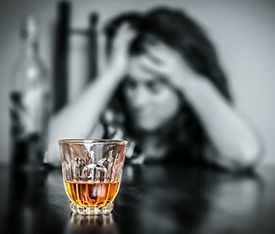 When an individual drinks because they are feeling anxious, and the alcohol quells the feelings of anxiety, this is known as “self-medication.” Many people who find themselves abusing substances also have an underlying mental illness. If you’re using alcohol to deal with symptoms of anxiety, that can be considered a “tension reduction hypothesis.” This is probably more well-known as “self-medication,” and it’s common among those with all forms of mental illness: depression, bipolar disorder, obsessive-compulsive disorder, and so on. The tension reduction hypothesis relates to the long-held belief that alcohol can calm the nerves, and this concept is certainly common among college students, who typically resort to drinking when they are in a situation of stress. When you undergo alcohol abuse treatment, these behavioral symptoms will be examined, and you will learn positive methods of dealing with stress. While it is true that alcohol can temporarily relieve anxiety – the relief really is only temporary. In the long run, higher rates of drinking will always lead to higher rates of depression, as serotonin levels go haywire, and higher rates of depression lead to higher rates of anxiety. Instead of drinking to calm anxious thoughts, there are other methods to feel relaxed and ease feelings of anxiety or panic. While alcohol might seem to temporarily ease nervousness, the effect is all too temporary. In order to deal with anxiety, long-term solutions must be explored. If you feel that sobriety is your best solution, and are having trouble quitting alcohol altogether, it may be worthwhile to seek alcohol abuse treatment. Outside of rehab, activities that are too stimulating can increase levels of anxiety, but activities that get your endorphins flowing can help to keep you calm and relaxed. Exercise, reading, or doing another calming activity, like drinking herbal tea, can be far more beneficial than turning to the short-term solution of alcohol. Simone Flynn writes about addiction, recovery, mental health and wellness for varying sites. 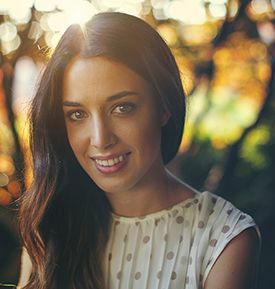 A reader and perpetual student, Simone enjoys sharing messages of healing and hope for those who need them most. It’s really sad to know that there are a lot of destructive effects that go with being alcoholic! That is why there are things that need more attention to and requires special treatment. Aid in Recovery has agents that can help you find options for treatment that fit your individual needs, including locating an alcohol treatment center that works with your health insurance company to treat your alcohol addiction and address the issues underlying your anxiety. I’m an alcoholic…and I think almost everything I read above is true…BUT…I already had some of those traits before I started drinking.In fact,some of those feelings made me want to get the hell out of this world,so I started and continued drinking.The feeling of not being valuable,for instance.Thanks and blessings..